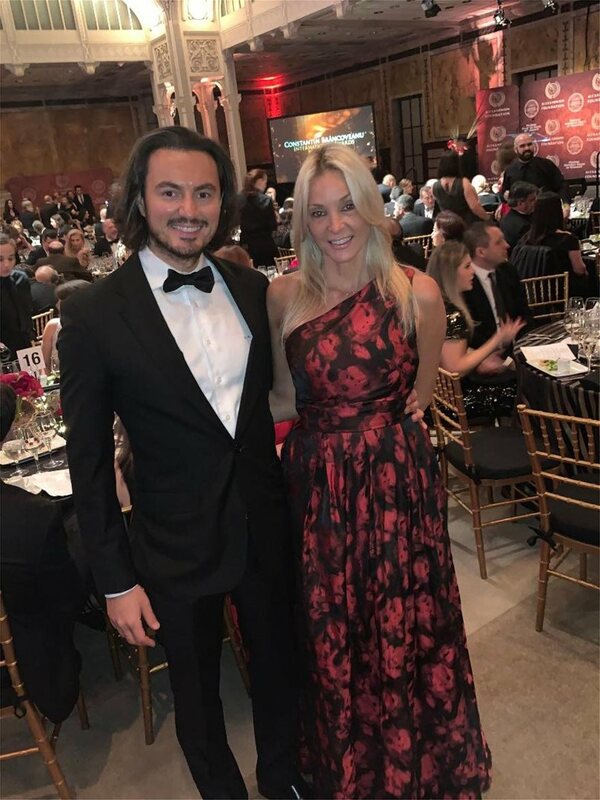 One of the most glamorous charity galas of the year took place a few days ago, at the Public Library of New York in Manhattan. 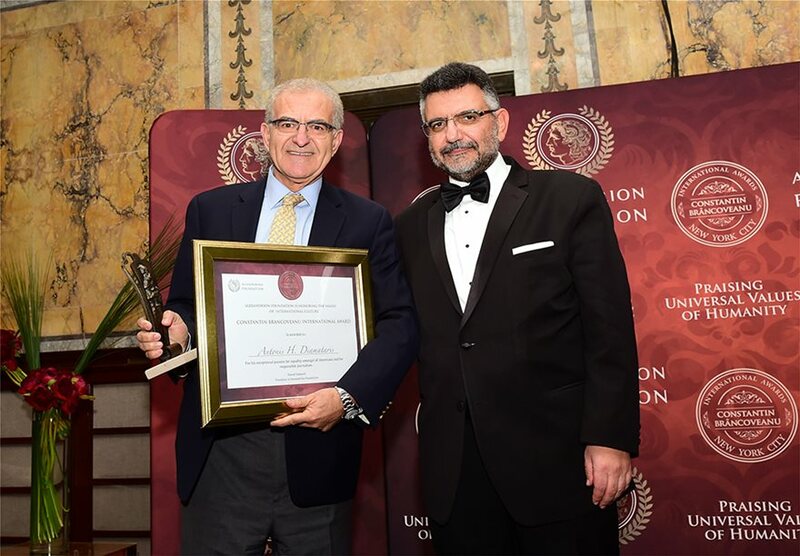 Greeks, Romanians and Syrians from the political, business, academic and artistic fields attended the ceremony for the awarding of the international Constantin Brancoveanu prizes awarded for the first time by the Alexandrion Foundation, the charity of Alexandrion Group Romania. 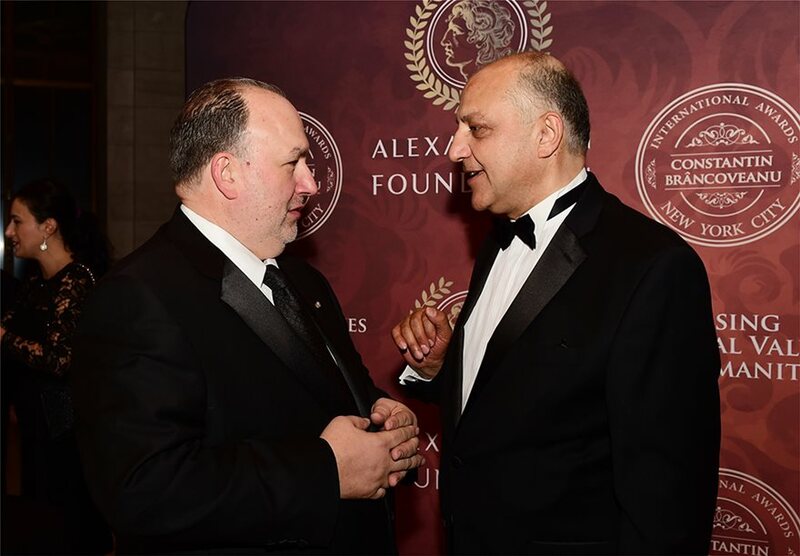 "Only in a city such as New York, could in one night gather three communities, Greek, Romanian and Syrian" said Greek American State Senator Michael Yiannaris who was present at the Gala and was among the important personalities which were awarded. 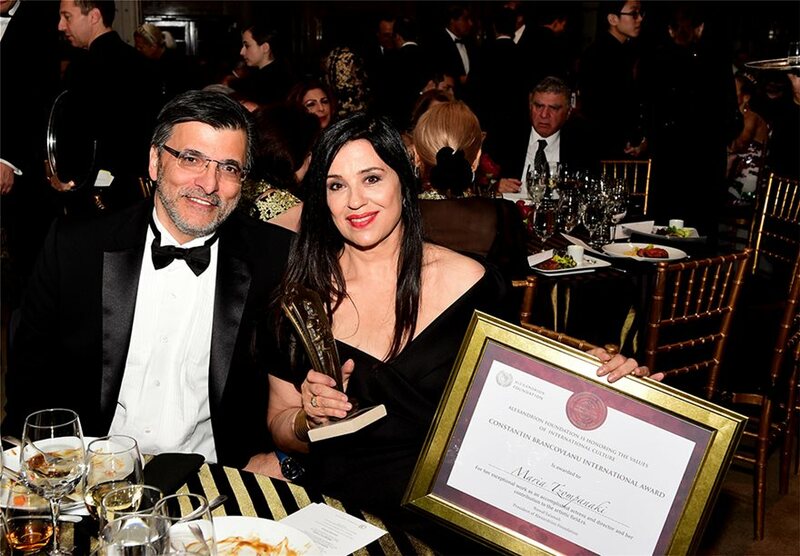 Honorary distinctions were also given to the publisher of the National Herald, Antonis Dimataris, the internationally renowned artist Philip Tsiaras and the actor Maria Tzombanaki, who now lives permanently in New York. 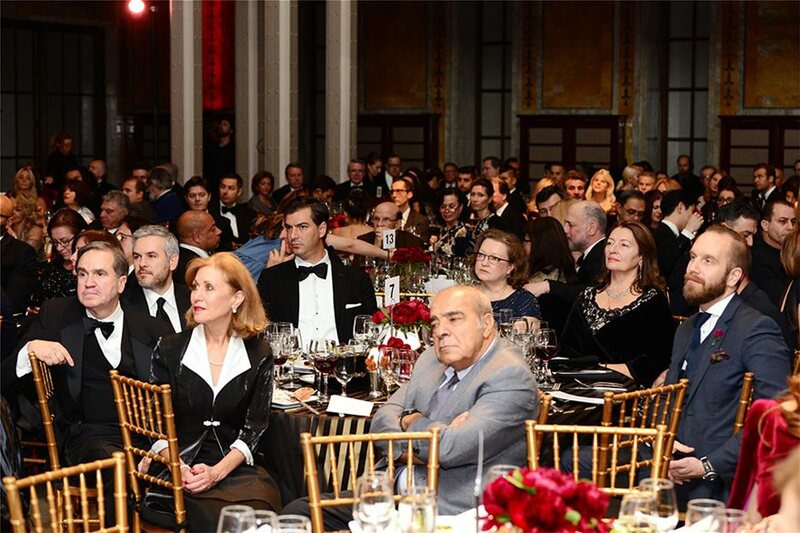 The event was attended by the elite of Greek businessmen living or operating in America. 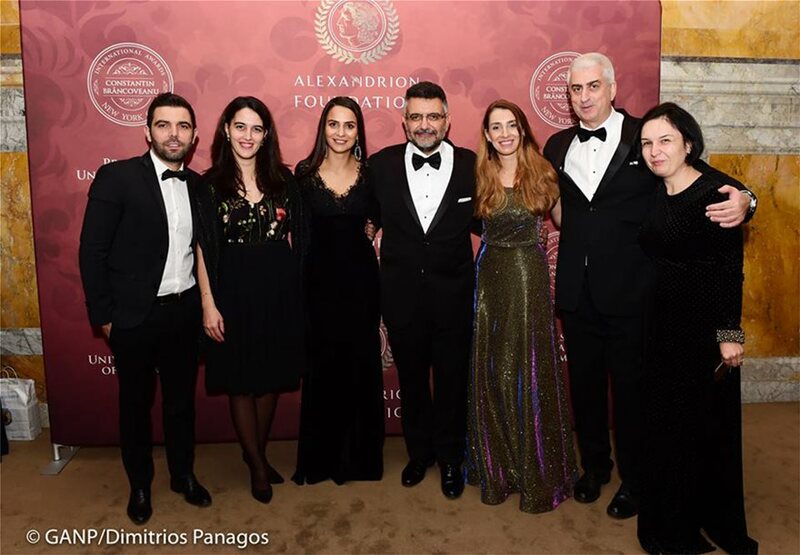 Among others, ONEX group leader Panos Xenocostas, Altantic Bank President Nancy Papaioannou, Vice President of Protravel Peter Vilttas, Capital Link Deputy Olga Bornosi, New Greek TV president Yanna Darilis and her husband Giorgos Psipsikos, Eftychia Pylarinou and Evangelos Venizelos from the Katsimatidis Group and business consultant Yannis Chorozoglou. The hostess of the glamorous night was actress Anthoula Katsimatidis. 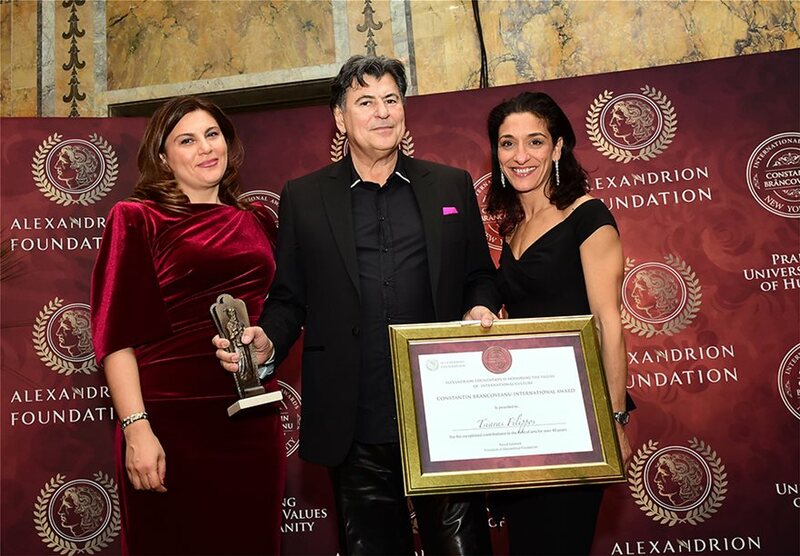 The Alexandrion Foundation has been active in the past 20 years and has as its mission the strengthening of cultural institutions and sports clubs, and through the Constantin Brâncoveanu international awards, rewards important personalities for their social contribution. 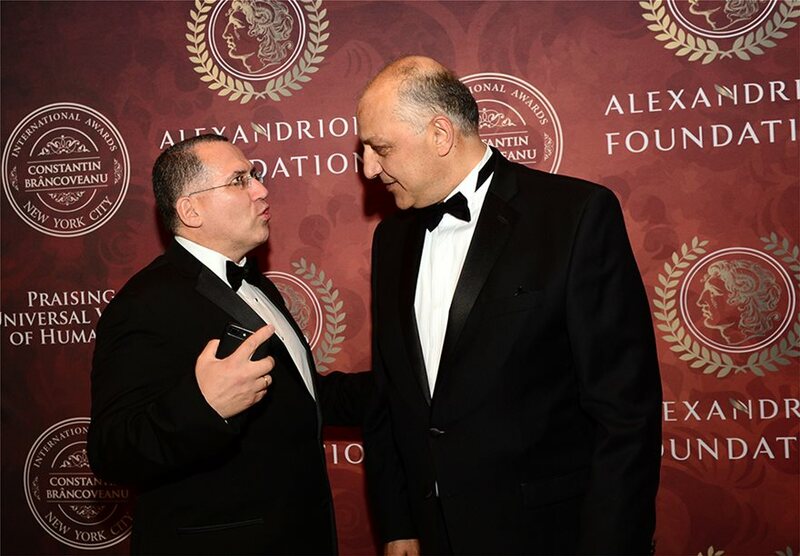 The President of Alexandrion Group and Alexandrion Foundation, Syrian Naouaf Salamech claims to be an ardent philhellene and his three children live in Greece, while he has been visiting Greece for the last 30 years, since when he first came to recognize his doctor's degree by DIKATSA. 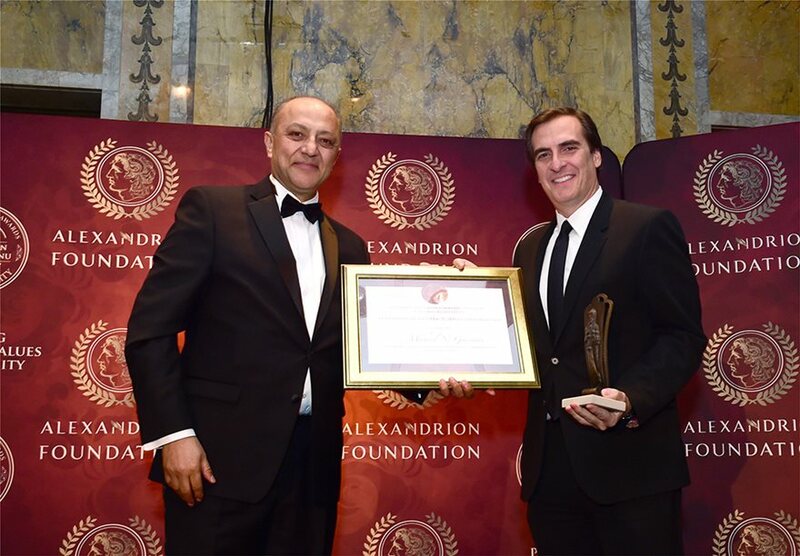 Alexandrion Group president Nauaf Salameh with New York senator Michael Yannaris Business consultant Yannis Horozoglou with Naouaf Salameh National Herald publisher Antonis Diamantaris with Alexandrion Group CEO Stelios Savvas Actress Maria Tzobanaki with husband Yannis Valvis Rim Daoud, Nauaf Salameh's wife with internationally renown artist Philip Tsiaras and hostess actress Anthoula Katsimatidis New Greek TV president Yanna Darilis and husband Giorgos Psipsikos Protravel VP Peter Vlittas with Nauaf Salameh. 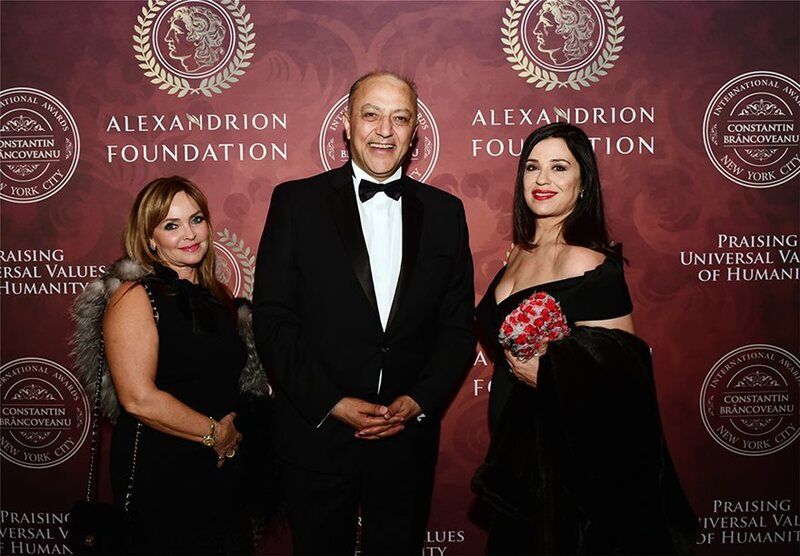 Capital Link VP Olga Bornozi with Nauaf Salameh and his wife Rim Daud Altantic Bank president Nancy Papaioannou with Nauaf Salameh and actress Maria Tzobanaki. 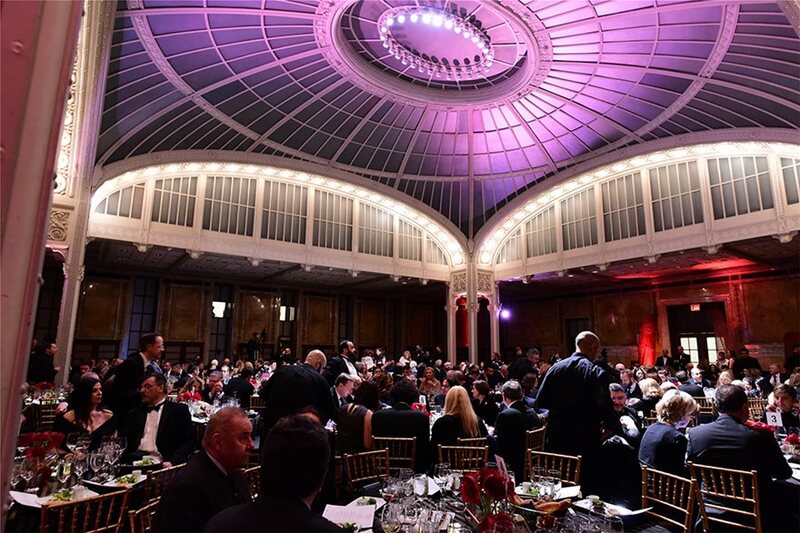 The impressive hall of the New York Public Library Officials of the CFO Group and the Alexandrion Group. Nauaf Salameh with Evangelos Venizelos and Eftyhia Pylarinou of the Katsimatidis Group.